So one of my favorite things to do when I am traveling is look for fabric stores. Even if it is just a Joann or Hancock, usually the stock is significantly different from my local area as to make it worth the effort. This year at regionals I had a good bit of luck at the Joann Fabrics and two Hancock Fabrics I stopped at. A fistful of coupons didn’t hurt too much either. 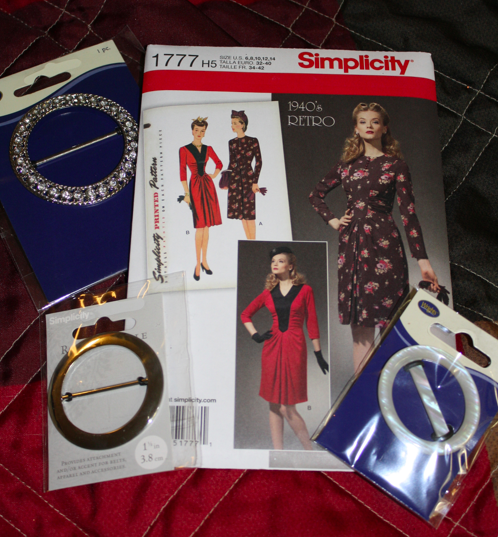 Simplicity 1777 and several belt buckles. 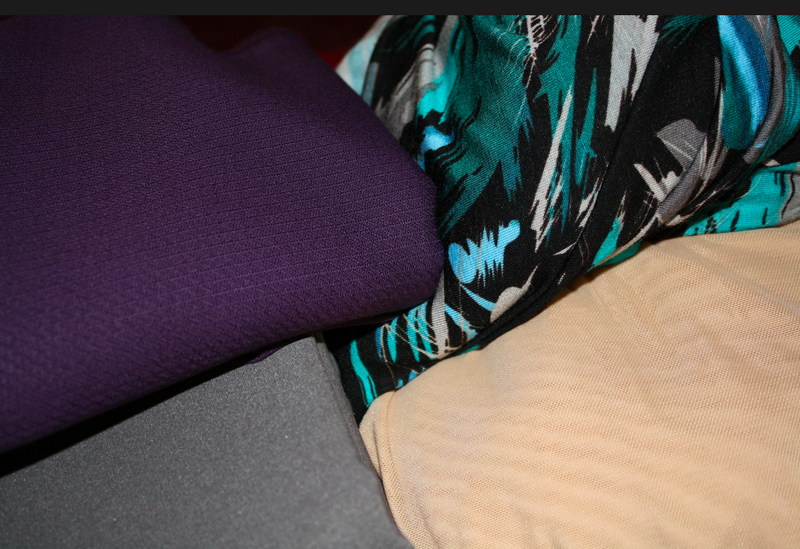 From Joann: Purple textured wool, teal rayon knit print, grey poly-rayon-lycra, and tan stretch mesh. From Hancock: Navy poly-rayon gaberdine, grey textured denim, and magenta wool-like polyester. 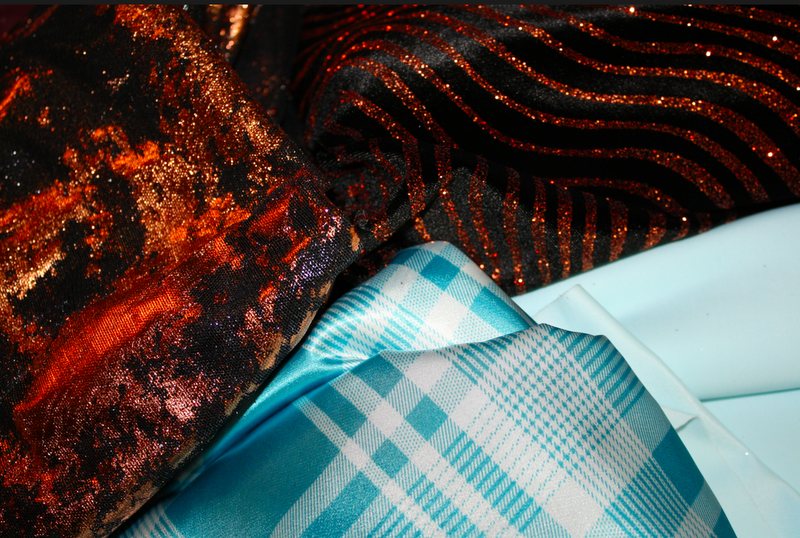 More Hancock finds: metallic stretch mesh, glitter stretch velvet, pale blue spandex, and plaid poly charmeuse. Most of my fabric finds are from the clearance bargain bin sections, or were at least 50% off. The shiny stretchy stuff is for future skating costumes, and the poly charmeuse is for lining. 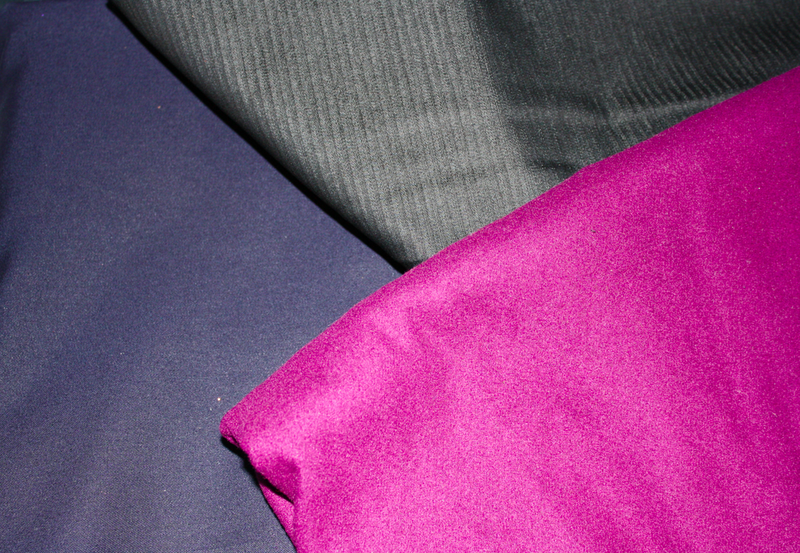 The navy and grey fabrics are for pants, and the magenta poly coating will be used for a fall/winter jacket or coat. The true gem is the purple textured wool ($14.99 original price but I used a 50% off coupon) that I plan on using with a Patrones jacket pattern at some point in the future. Overall a lot of fun stuff to add to the stash. I probably won’t be sewing a lot of this fabric any time soon, but I do have plans for most of these purchases. Of course, this might seem like a lot of fabric to bring back from my trip, until you realize that the LA garment district is also somewhat on the way home. And I needed more rhinestones for more skating costumes that need to get made for nationals. I think you will need advanced warning before I post that fabric haul. 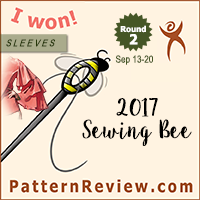 Prepare to be amazed at how I have already squashed my year’s goal of sewing from stash fabric in an upcoming post. I've had my eye on that retro pattern for a while but am trying to be strict with myself and use some of the patterns I've already got. 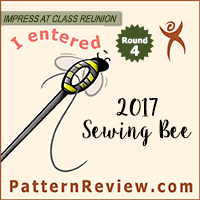 So by the time I get round to this one, you may well have posted your pattern review…your sewing output is much more prolific than mine! blue plaid poly charmeuse – do you still have it? can I purchase it off of you?? Sorry – Think it has been used at this point.